The Blackmagic Pocket Cinema 4K Camera is an excellent package that offers a lot of bang for your buck whether you’re a seasoned professional, an enthusiast or a beginner who want to learn more and achieve amazing results. 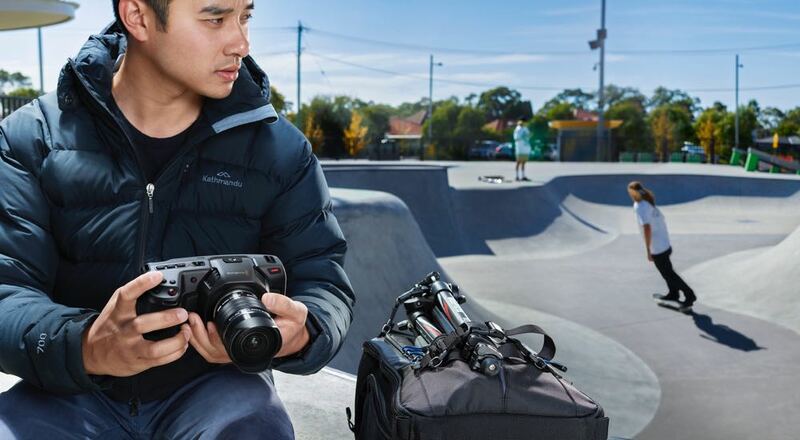 When it comes to value and quality the Blackmagic Pocket Cinema 4K camera has certainly got it where it counts and offers an amazing portable solution for filmmakers. 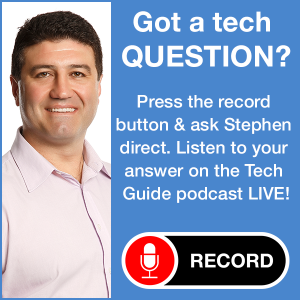 For Tech Guide we took a look at the Blackmagic as a solution to produce our videos for our site and for our YouTube channel. We were after quality and we wanted simplicity – a camera that could be turned on to shoot right away. The Blackmagic Pocket Cinema 4K delivered – to a degree. There were still things that needed to be added (like lenses) and a few things to learn (like using the included DaVinci Resolve Studio editing software). We approached this review from the point of an amateur customer who had limited experience but was after a quality outcome so it was going to be a steep learning curve. Whoever named the Blackmagic camera the Pocket Cinema 4K must have had massive pockets. It’s a decent sized unit made of carbon fibre that has a large grip on the right side with a massive 5-inch display on the back and all the buttons laid out within easy reach. There are numerous ports on the left side of the camera. But despite its size, the Blackmagic is still fairly light and portable and designed to be used on the move in your hand or on a gimbal yet it’s equally at home on a tripod in a studio. The record button and all settings are at your fingertips. And that massive display is not only a great way to frame what you’re shooting but it’s an easy way to access menu system and settings. The touchscreen makes the menu system one of the easiest to navigate on any camera we’ve used. 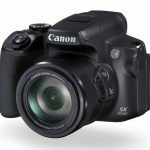 From here you can access the resolution, format and frame rate in an instant among other settings that would have been buried deep in any other camera’s menu system. What you don’t get with the camera is a lens so you need to buy these separately. The Blackmagic is compatible with MFT (micro four thirds) lenses and we used lenses from Panasonic (12-35mm f2.8 – $968) and Olympus (12-40mm f2.8- $1,299)during our review. Both provided excellent results and great versatility for our shots. But there are many more MFT lenses you can use with this camera. You just have to factor that into your spend on top of the $1,975 price of the Blackmagic camera. 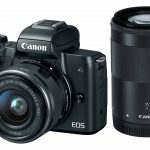 But there are other cameras from Canon and Panasonic that can shoot 4K that are more expensive and come with a lens or as body only. 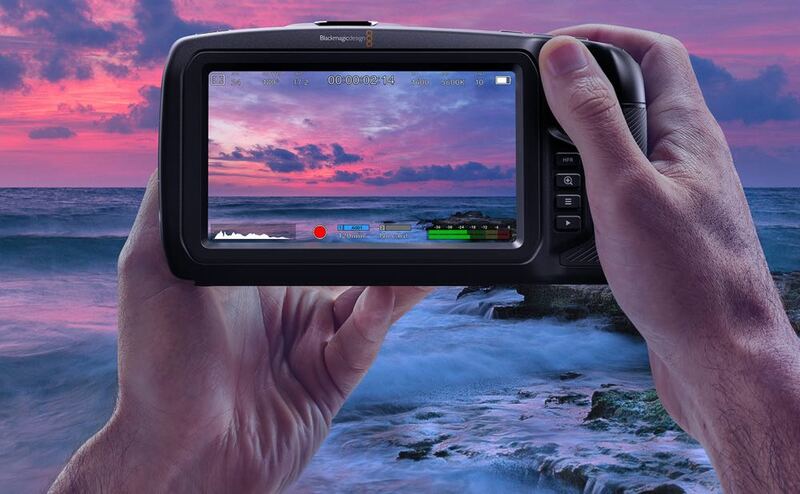 The Blackmagic Pocket Cinema 4K camera is easy to use. 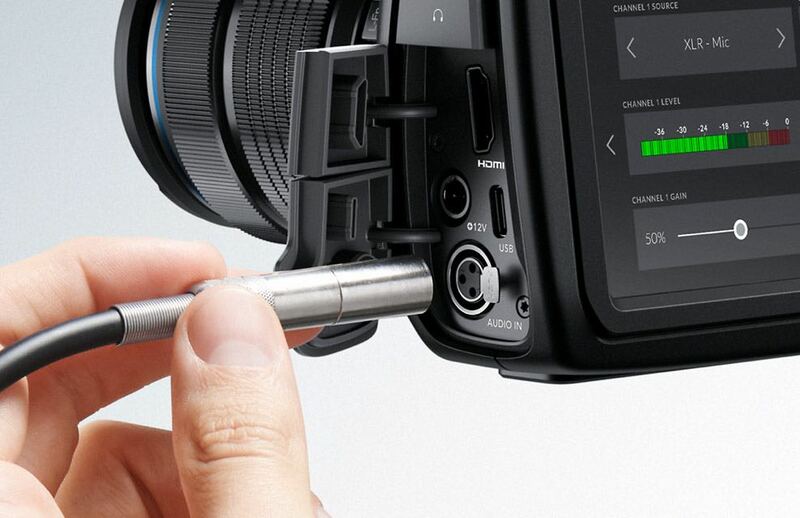 There are record buttons on the grip as well as on the front of the camera. The front button came in handy for us when we were recording ourselves as we could easily reach forward and hit the button. When you’re recording other people or objects, the camera’s display makes it really easy to frame up your shots. But one you don’t have is auto focus. To achieve focus you tap on the area of the screen you want in focus. 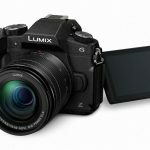 Now for times when we wanted to record ourselves – we couldn’t just flip out the screen like you can with other Canon and Lumix 4K cameras. To make this easier we had to connect a small field monitor so we could ensure we were in the middle of the frame and in focus. For our use, filming ourselves or shooting a product up the Blackmagic Pocket Cinema 4K camera did a great job. 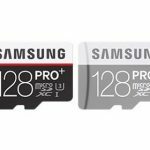 You have a few options when it comes to choosing recording media – a CFAST card, SD card and you can also record directly to a SSD drive like the Samsung T3 and T5 drives. One weakness of the Blackmagic is the battery performance. It uses the LP-E6 lithium batteries used on some Canon cameras. The battery is small and you’d be lucky get a solid 45 minutes out of it so we’d suggest investing in a few spares batteries to have on hand. The battery compartment is on the bottom of the grip and, if the camera is inside a rig or on a gimbal, you’ll have to take the camera off to get to the battery door. We chose to record at 4K at 50fps and right out of the camera it looked impressive but when we got to editing it improved even further – more about that in a minute. There are plenty of ports for memory cards, to connect an SSD as well as connecting audio with a 3.5mm jack or with mini XLR plugs. User also have a full-size HDMI port to feed out to a TV or field monitor. 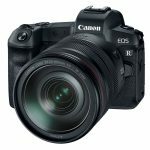 There have been a couple of big firmware updates that have added a range of new features including the ability to shoot RAW 4K at up to 12:1 compression. For those who don’t know – shooting RAW gives you so many options with the video for editing and colour grading. Think of RAW as having all the ingredient to make a great cake. Not shooting RAW you still have some flexibility but instead of baking the cake from scratch you can make some adjustments and just add the icing. Another issue the firmware update has addressed was the battery indicator which would show low battery before dying suddenly. To get around this you can have the camera connected to power (if you’re shooting indoors) with the included power adapter. It also improved the auto focus slightly as well. Right out of the camera, the footage shot with the Blackmagic Pocket Cinema 4K camera looked great. But using the included DaVinci Resolve Studio editing software made it a lot better. Not only could we edit the editing, arrange the scenes in the order wanted and add audio and stills and other amazing effects, you can also colour grade the footage to match the sort of look you’re after. 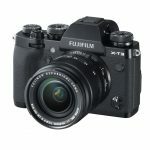 This camera is high enough quality to shoot a feature film and there’s plenty of options for serious users to make some dramatic edits and adjustments. For us shooting our little YouTube videos – it did feel like a little bit like buying a Ferrari to be able to buy milk from the corner shop. 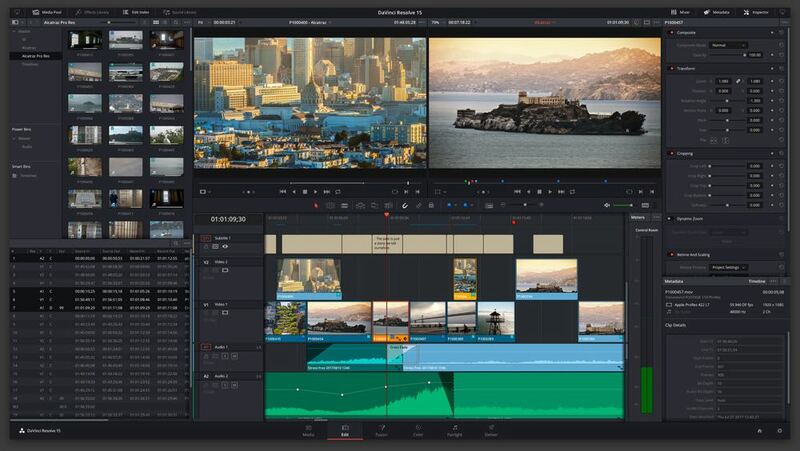 There are so many options that DaVinci Resolve Studio puts at your fingertips, it will make a professional feel at home. For us it gave us a desire to learn even more to give us even more options for our video. 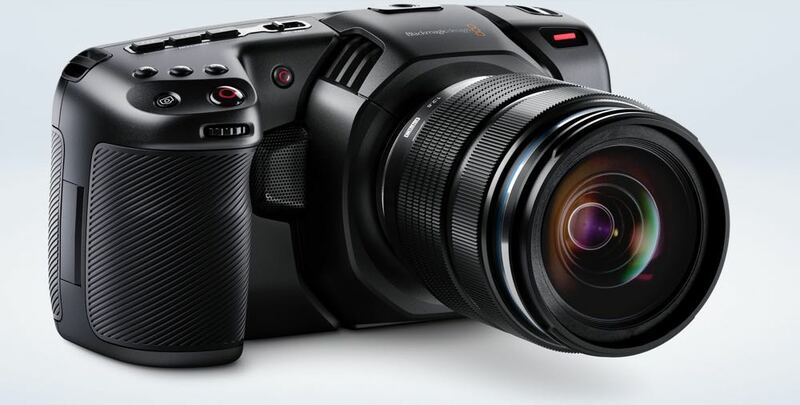 The Blackmagic Pocket Cinema 4K camera might be too much camera for our purposes but it gave us plenty of headroom to allow us to improve and use even more features of the camera and the editing software in the future. Better to have too much rather than not enough.